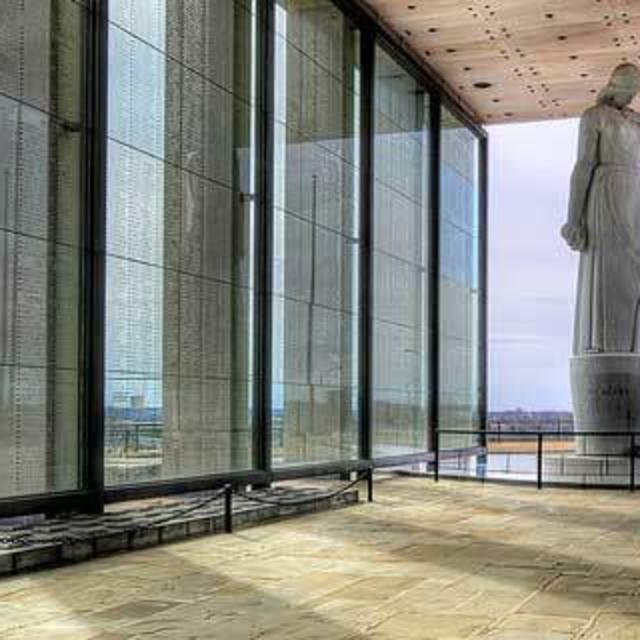 The Paul and Phyllis Galanti education Center is the fulfillment of over ten years planning to transform the Virginia War Memorial into a major education center. The goal is to honor military veterans by passing their stories of sacrifice on to future generations. The new center offers visitors a state-of-the-art experience through a near virtual reality film during which they will experience being in the middle of an active battlefield where it will snow. With galleries featuring exhibits that display unique artifacts, the center is a “don’t miss” stop for those visiting the Richmond Region. The Memorial’s Virginians at War series of documentary videos, narrated by Virginia veterans, can be seen in the Memorial’s new theater as well. The center also houses a research library, training room, multi-purpose classroom, and administrative spaces. 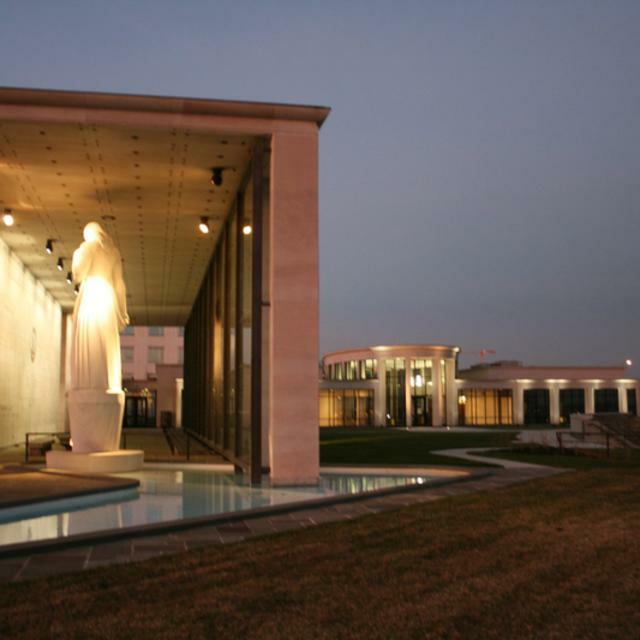 The Shrine of Memory contains the engraved names of 11, 639 Virginians who made the ultimate sacrifice during the 20th century. The statue, Memory, sits at the southern end of the Shrine along with the Torch of Liberty, an eternal flame. A large outdoor amphitheater overlooking the James River is the perfect venue for concerts and ceremonies. Hours (General Information): The Shrine of Memory and the Paul and Phyllis Galanti Education Center are open daily. Description The Virginia War Memorial Educational Foundation is pleased to offer veteran service organizations, corporations, community groups, and other interested parties ideal space in the 18,00 square foot Paul and Phyllis Galanti Education Center on its grounds. 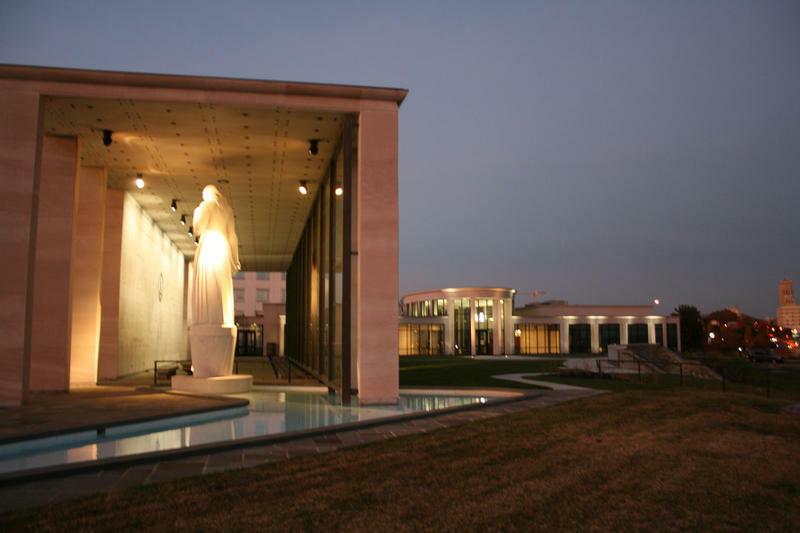 Overlooking the James River valley and Richmond's central business district, the War Memorial provides a perfect location to host a variety of needs ranging from a board meeting of a handful participants to a reception of several hundred to a corporate event for about 3,000. Space Notes Contact the Virginia War Memorial, (804) 786-2060, for more information.